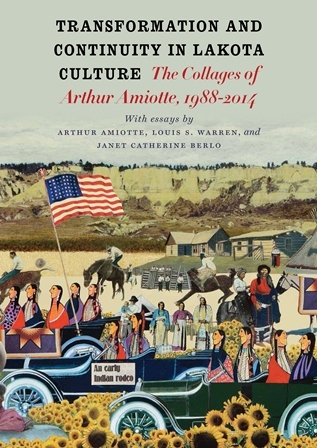 The South Dakota Historical Society would like to invite you to view the extraordinary exhibition, “Transformation and Continuity in Lakota Culture: the Collages of Arthur Amiotte, 1988-2014.” This unique exhibition is made possible through the patronage of members and donors to the South Dakota Historical Society Foundation that supports the activities of the South Dakota State Historical Society. Your contribution to this effort will also make it possible for more South Dakotans and visitors to see this unique art exhibition. The exhibit will be opening April 19, 2014 at the Cultual Heritage Center.